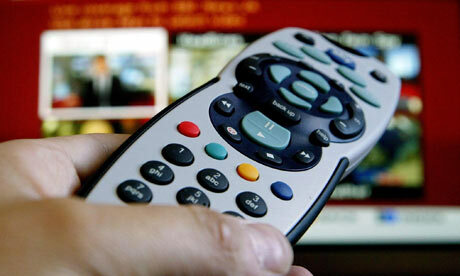 If this decision, to deny SKY the right to stop pubs using foreign decoders is held up then it is quite momentous. I have to say I kind of agree with the Premier League that this sort of decision should really be taken by the European Parliament; but nonetheless it is a potential big step forward for the free market. If we have to have the European Union then it s a good idea to have as free a market as is possible in order to generate the maximum wealth benefits. When the case comes up again I still think it will get struck down, but if it does not then it will more more than just the lawyers who are happy (though they will be ecstatic of course). This decision is more to do with a single market than a free market. In a free market people are free to enter contracts and the PL would be free to negotiate terms with the broadcasters. What the CJEU is doing here is interpreting the single market rules set up by the treaty. This isn't a law change, so why should the Parliament be involved? The EU is mainly bad but not all bad. It's up to the PL to enter a separate deal with e.g. its Greek licensee that they will make content unavailable outside Greece (if that is technically possible). BE - You are quite correct about my legal inaccuracy. However, I would imagine it logically sits under EU law as to whether countries are allowed control of their own media distribution. Let's not pretend this won;t have far reaching and positive consequences. CU Ruppy does not like competion, unless he controls all satellite over europe how is he going control what people watch or what channel to watch, it did not work in the days of pirate radio (remember them, a bit naff but popular) as long as it is a legal service it could give the old man a run for his money, is the old lad going to buy every broadcaster in Europe. You put something in space, broadcasting desirable content over thousands of square miles that is encoded by clever techies. Cleverer techies decode it - simples! Anon - I believe Radio Caroline (or is it London?) still broadcasts! Sports authorities are very protectionist, if you think the Pl are bad wait until the Olympics come to town! I'vbe heard there is an 'Olympic Cafe' in east London that has been there for decades they are insisting must change it's name. CU I was not arguing that this won't have massive consequences (what they will be, only time will tell). The point I was making was that if the competition authorities got out of the way the EU market would be divided up more not less. "Free market" does not equal "open market". The competition regime is why we joined the EEC in the first place and is still the best bit of the EU! Competition law/policy is a fascinating place where legislation can actually increase freedom! A similar thing happened with the American and Czech budweisers. The result was the copyright owners (American) had to change their name to Bud in Europe and the originators (Czech) changed their name to Czechvar in teh US.